Important Information About The Magic In You Productions And How They Can Turn Any Event Into A Lasting Memory-Guaranteed! 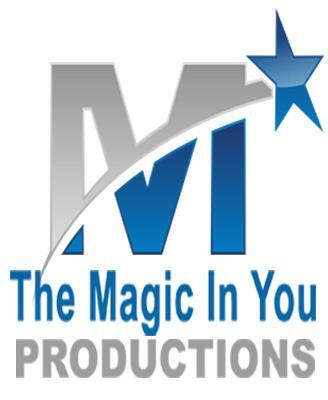 The Magic In You Productions is one of central Indianan's premier speakers bureau Indianapolis, with over 5 years experience. They have provided unforgettable school assemblies, corporate entertainment, special event entertainment, college entertainment, college speakers, church event entertainment, musicians and speakers for their clients needs. Their experience and proven track record means that you can rest assured that all of your entertainment and speaker needs will be taken care of and meet all of your expectations. If your looking for entertainment or motivational keynote speakers that will not only make your event unforgettable but will engage your guest LOOK NO FURTHER! "Very fun and funny show"
"Jamahl's magic and message was incredible"
"This man knows his stuff!" "Jamahl Keyes stories are funny and inspirational, he cleverly mixes both entertainment with magic." "Jamahl Keyes's magic show was first class all the way!" He was very funny and great with all of our employees. The two think we would of liked to change is the show only lasted about 30 minutes and we were hoping to have him incorporate some of his motovational speaches into the act. But from our side we probably did not relay what we wanted completly to him. It was a great show. Jamahl was wonderful. Our guests arrived late so Jamahl was very kind in extending his stay to accommodate us. He blended Magic & humor well, and engaged the audience. 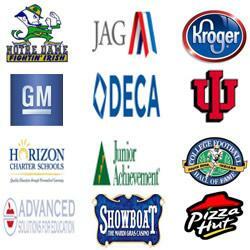 Please note The Magic In You Productions will also travel to Zionsville, Carmel, Whitestown, Brownsburg, Westfield, Fishers, Avon, Pittsboro, Sheridan, Noblesville, Beech Grove, Lebanon, Lizton, Mc Cordsville, Plainfield, Crawfordsville, Hillisburg, Cicero, Camby, Danville, Goldsmith, Arcadia, Greenwood, Kirklin, Fortville, Ingalls, Jamestown, New Palestine, Stockwell, Clayton.